United States-headquartered data, voice, cloud and managed services master agent, Telarus, is making a push into the local market after appointing former Westcon executive and AGC Networks country manager, Tony Heywood, as its new head of channels for Australia and New Zealand. Based in Utah, Telarus – not to be mistaken for the similarly named Australian subsidiary of telecommunications and IT services company, Over the Wire – is a value-added distributor that holds contracts with a number of large commercial telecommunication carriers. The privately-owned company’s platinum partners include CenturyLink, Comcast Business, Five9 and Viasat. Other partners include Telstra, Verizon Business, NTT Communications and Rackspace. Telarus’ internally-developed GeoQuote platform combines real-time carrier pricing with advanced research features and branded proposals. Essentially, it facilitates access to multiple carrier price options with a single user search. Heywood's appointment marks a fresh global expansion for the company, with its concerted push into the A/NZ market set to be driven by the new local recruit. The company’s new local channels lead comes to the role after more than four years at technology solutions integrator, AGC Networks, which claims Cisco, Oracle, Juniper and Avaya among its partners. According to his LinkedIn profile, Heywood was AGC Networks’ Australian country manager and VP until late 2017. 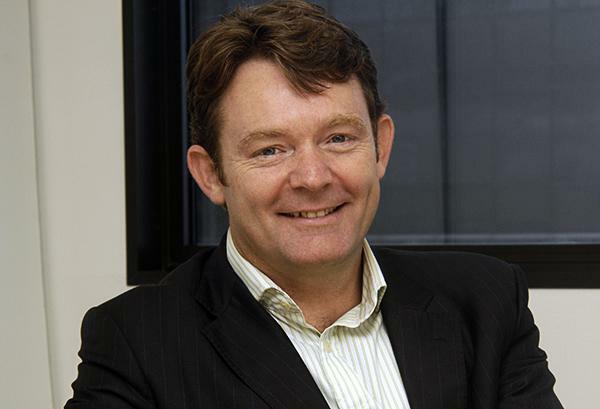 Heywood also spent over three years with Westcon Group, first as its local data centre and infrastructure general manager, then as the director of Westcon Group Services and Cisco sales. Heywood's new role, which he starts on 16 April, will see him wear many hats, the company said. Heywood will be both a partner development manager, supplier manager, commissions analyst, marketing expert, and events coordinator. As the company grows, Heywood will establish a permanent office in Sydney, hire staff to take over the support roles, and focus his full-time efforts on growing sales and vendor partnerships. Indeed, Heywood will be responsible for setting up a local version of the master agent, and pioneering the agency model concept, in which third-party cloud brokers are recruited, trained, and supported to advise clients on which cloud communications and/or infrastructure service is right for them. “This is a monumental step for Telarus,” Telarus CEO, Adam Edwards, said. “Although our business inside the United States has continued to grow at a robust 40 per cent-plus in each of the past three years, we feel its important to establish a presence in other geographies that hold even greater growth potential. "For us, that place is Asia, with Australia and New Zealand as a starting point. We see the broker model there in its infancy, waiting for a market leader to come in and take a leadership role. Our vision is to become just that: the leading master agent in the A/NZ market," he said. In order to accomplish its goals, Edwards said the company will need to educate and recruit the first batch of true cloud brokers, help them develop go-to-market strategies that work, refine their marketing and give them the blueprints to grow their staff. "At the same time, we’ll be working closely with our many suppliers – some of them with assets currently deployed in Australia – gain their unfair share of the market. Tony is going to be the best friend cloud brokers and cloud service providers could ever have 'Down Under'," Edwards said. In October last year, Telarus entered into a definitive agreement to acquire CarrierSales, a leading master agency of cloud contact center, network, and mobility solutions. Telarus said at the time that the combined company would offer its network of over 4,000 independent agents more expertise, more vendor options, and more software tools. It was expected that the all-stock deal would help the combined company deliver over US$1.5 million per month in new monthly recurring revenue to service providers, and will have annual revenues of more than US$85 million. “We are excited to join forces with the CarrierSales team,” Edwards said at the time. “Richard Murray and the CarrierSales team have a strong track record of focusing on the individual partner and providing resources to help their partners achieve their goals, especially as it relates to UCaaS, contact center, and mobility – three areas where Telarus would like to invest and grow. “We also believe the partners of CarrierSales will benefit from access to the unique network, UCaaS, and SD-WAN pricing tools. Merging organizations can be challenging but with both cultures being highly focused on partner success, I’m confident our partners will see the benefits quickly,” he said.